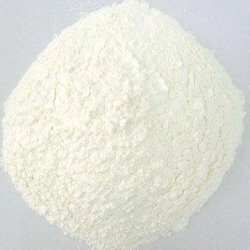 Leading Exporter of pregelatinized starch from Pune. Ours is an illustrious organization that is engaged in manufacturing, supplying and exporting Pregelatinized Starch. Our offered range is a cold water swelling starch and has moderate solubility and viscosity. Available in various specifications, it is extensively applicable in food industry, oil well drilling, laundry, foundry, abrasive and mosquito coil.